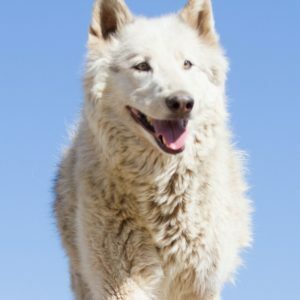 Every year, for a limited time, Wolf Connection® features the art of one of our community members in a fundraiser to support a healthy Emergency Veterinary Care Fund. This year’s artist, Ryan Pomerantz, donated his talents and time and brought us to tears with a piece depicting Ancestor Ozzy, who passed earlier this year, and rising pack member, Kenai. Just like the relationship between our elders and the young, it encompasses the yin and yang between the seriousness of the journey and the joy in the arrival. CLICK HERE to get your 2018 Limited Edition T-shirt! 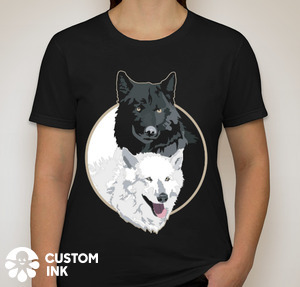 Show the world your passion for wolves and Wolf Connection by wearing a 2018 commemorative shirt that lists Ozzy, the Minnesota 5, and the rest of the 2018 pack. All proceeds go to the health, care and enrichment of the Wolf Connection pack who, in turn, provide wolf therapy to at-risk youth from all walks of life. Support healing for L.A.’s young men and women, support wolf conservation and education, support the rekindling the wolf-human bond – each T-shirt supports this mission to protect wolves. Looking for the perfect holiday gift for the animal lover in your life? We got ya covered! But don’t wait too long, there is limited time to place your order… Limited Edition T-Shirt online sales end Friday October 19. 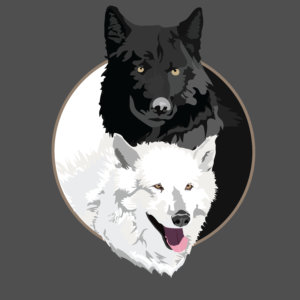 Purchasing a 2018 Limited Edition T-shirt supports our Emergency Veterinary Care Fund and the incredible health care the Wolf Connection pack receives. 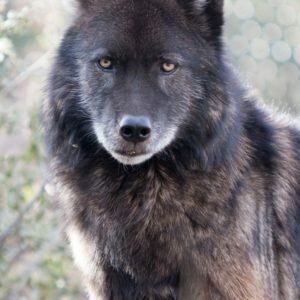 Thank you in advance for directly supporting the care of the Wolf Connection pack, we couldn’t do it without you!